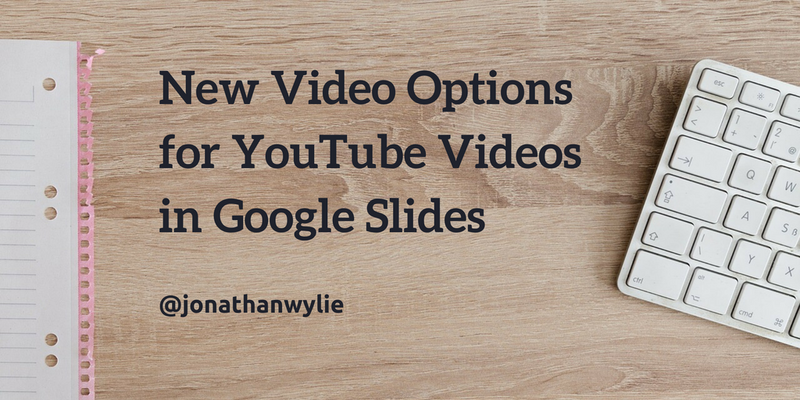 Recently, Google added the ability to add Google Drive video files to a Slides presentation. It’s a great new feature for schools, but it’s not what this blog post is about. Confused? Bear with me, because there was an additional feature added at the same time that didn’t get a lot of attention. I found it by accident, and I think it is a useful option to know about it so I wanted to share it here in case you find it useful too! When Google Slides first came out, I wasn’t very kind in my review of all that it could do (or not do). However, the iOS app has seen a lot of improvements and today Google released a brand new feature that will be great for classrooms and presenters everywhere – a live question and answer module that lets an audience ask and vote on questions they would most like you do address. Here’s how it works. When I first tried out this feature, I couldn’t find how to activate it. My app was up to date, but there was nothing in the menus that indicated how to start a Q&A session. Turns out, there is something you need to know first. The Q&A feature is only available when your iPad is connected to a projector or other external device. This means you need to mirror your iPad via Airplay, or use a VGA adapter to connect to the display you want to present on. You will not be able to access Q&A unless you are connected to an external display. Step 1: Connect your iPad to the projector or external display. Step 2: Launch the presentation you want use, and tap the play arrow from the toolbar. In the drop-down menu, choose to Present to an external display. Step 3: Once you are in presenter mode, tap the Q&A icon in the top right-hand corner of the screen to open the Q&A menu. Step 4: Tap START NEW to start a new Q&A session. Step 5: If you are a Google Apps for Education user, or a Google Apps business user, you will have the option to limit questions to people within your organization, but if you select Anyone, everyone in the audience, regardless of whether they have a Google account or not, can ask or vote on questions. Step 6: Once you have set the permissions you want, click the back arrow in the top left-hand corner of your screen to return to your presentation. At this point, you see the presenter mode, and the audience sees your first slide with a banner along the top that has a URL for them to visit on their device in order to enter questions and vote on questions submitted by others. Step 7: When a new question arrives, you will see a number appear on the Q&A icon in the top right-hand corner of your screen. Tap the number to see the questions that have been asked. Step 8: To address a specific question with your audience, tap on it. This changes the audience view from your current slide to a full-screen view of the question you selected, as well as the name of the person that asked the question, (so long as they signed in with their Google account before asking the question). If the user does not sign in before asking a question, they will be listed as Anonymous. Step 9: If the audience members have voted on questions, the ones with the most votes appear at the top of your list, (a la Google Moderator). Every question you answer/address is highlighted with a checkmark so you can see which ones you have answered and which ones you have not got to yet. Step 10: When you exit your presentation, you can tap the three dots in the top right-hand corner of the app and access Q&A History. This shows you all the questions that were asked during the presentation. The entries are time stamped so that if you gave the same presentation on different days, you will be able to see what was asked for each day. Yesterday, it was announced that InfuseLearning, the popular, free online formative assessment tool, will be closing its doors for good on April 3, 2015. Those that have used it know that it was a great tool for teachers who were looking to gather data on their students to help inform future instruction. However, of late, it did not work as well as it used to, and ultimately this looks to have led to its eventual demise. So, here is a roundup of some of the best alternatives to InfuseLearning. 1. Socrative – It has been around for a while, but the recent 2.0 update gave it a much needed facelift and some new features to boot. It’s free, multi-platform, and a great way for teachers to get data on how well their students understand the content. They also have a great resource page with training materials to help you introduce this tool to others. 2. Kahoot! – If you’ve been to an edtech conference in the last 12 months, the chances are good that you have already been part of a Kahoot! quiz. Kahoot is a gamified approach to assessment, and it definitely adds a fun factor to a traditional quiz. Like Scorative, it can be used on any modern device. Read more about Kahoot here. 3. Google Forms – Google Apps schools have been using Forms to collect assessment data for some time now, and over the years Forms has evolved to become an interesting online quiz tool. There are a variety of useful question types that include the ability to add images and videos. Pair it with Flubaroo, and you have a powerful self-grading assessment tool. 4. Excel Surveys – Not a Google school? Microsoft offer their own version of survey tool called Excel Surveys. It is available to Office 365 schools, or anyone with a free personal Microsoft account via Office Online. It lacks some of the more useful options found in Google Forms, but there is still enough to make it worth a look. Read more about Excel Surveys here. 5. Plickers – If devices are not plentiful in your school, then Plickers is exactly what you need. If you’ve never used it before, you will be amazed at how it works. You print out a collection of four sided QR code-like markers for students. They select the answer they want to give by rotating the card to the letter they want to submit, and the teacher scans the cards with a smartphone or tablet to record student responses. Read about Plickers here. At a recent Google Drive training, a participant asked me if there was a way to insert clip art into a Google Doc. They knew how to insert images, but they wanted an image bank of those cartoon-like clip art images, just like in Microsoft Word. Can it be done? Indeed it can. Here’s how. Start by opening the document of your choice and going to Insert > Image to open the Google Image browser. Then select “Search” from the menu on the right-hand side. Next, enter the type of image you are looking for in the Google search box. Results that are shown are labelled for commercial use with modification, so they are perfect for classroom use. In this example I am going to search for a picture of a dog. Something I get asked about every now and again is how to move a Google Site that was created in a public account, into a Google Apps for Education domain account. This is a popular thing to do when a school gets Google Apps for Education for the first time. 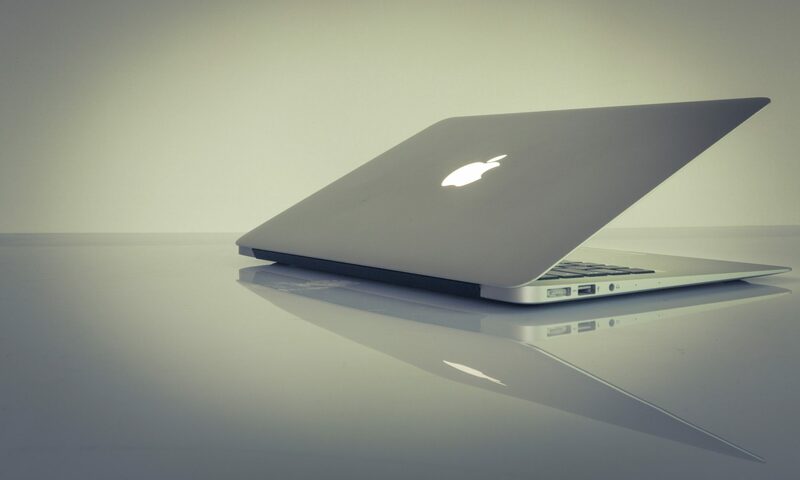 However, it is also a top request among teachers that move to a new job with a new school and want to do the reverse, or even transfer between apps domains. Here’s what you need to know. The first important thing to know is that you can’t actually move a site. What you have to do instead is make a copy of the site, and for this you need two Google accounts — your personal account and your Apps for Education account. Once you have made the copy, you can choose to delete the other site if you want, or just take it offline and ignore it. The instructions below are based on a scenario where you have created a Google Site in your public account and want to move it into a Google Apps domain because your school is going Google. However, it is very much the same procedure to make a copy of a site to a public account, or move it between apps domains. So, let’s get started! 1. In your browser of choice, log in to your personal Google account with your @gmail username and password. Then navigate to the Google Sites website you want to work with. 2. Now, add yourself as an owner by clicking on the blue share button in the top right-hand corner of the site. (You are, of course, already an owner of this site, but what you are going to do here is add your new Google Apps for Education account as a collaborator on the site. Be sure to give this account the rights of an “Owner”). 2. Next, copy the URL of the site you just added your school Google account to. 3. In another browser, (or in another user account in Chrome), log in to your school Google account with your Google Apps for Education username and password. 4. Paste the URL of the website we made changes to earlier. You should find that you have full access to the editing controls when it loads, but if you don’t, scroll to the bottom of the page and click the Sign in link in the footer. 5. Click the gear icon in the top right-hand corner, and select Manage Site. This will take you to the General settings page of your Google Site. 6. Choose the “Copy this site” option and rename it accordingly. If you want to keep your other Google account as a collaborator on this site, feel free to copy the original collaborators checked before you copy. 7. The site will now appear in your list of websites at http://sites.google.com when you are logged in with your Google Apps for Education account. There are, however, a couple of caveats. For starters, the site you just created now has a new URL. Be sure to make that available to anyone who needs access to your site, or create a custom tinyurl and share that. The URL you used previously, will direct people to the site that was originally created outside your Google Apps domain. Speaking of the old site, it’s a good idea to change the sharing permissions on the one to “Private” so not to confuse visitors about which site to visit, or just delete the old site altogether if you don’t think you will need it any more. You also need to make sure that you, as the owner, are updating the correct site! Otherwise, you should be good to go. When you make a copy of a Google Site it will look exactly the same as the original version so all the content you had before will now be available to you and your visitors inside your Google Apps for Education domain.